Some high-profile pledges have already been made. 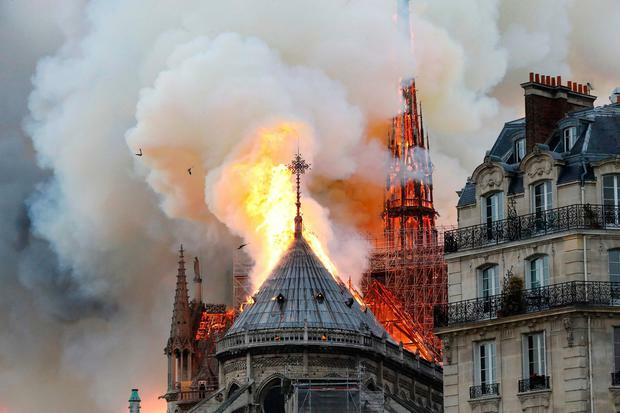 French billionaires Francois-Henri Pinault and his father, Francois, said they would be giving more than €100m to help with the “complete reconstruction” of what was lost. French billionaire businessman Bernard Arnault's family and his LVMH luxury goods group will donate €200 million to help repair Paris' Notre-Dame cathedral, said a statement issued on behalf of Arnault. A number of unofficial fundraisers have sprung up on websites such as gofundme and JustGiving, and while no individual appeal has yet taken off, collectively they have raised thousands of euro.